In version 8, concrete5 introduced Express, a way to build complex, relational database objects out of concrete5 attributes. The gateway to these is an Express Form, which is what's used to add and update the data in your express objects. 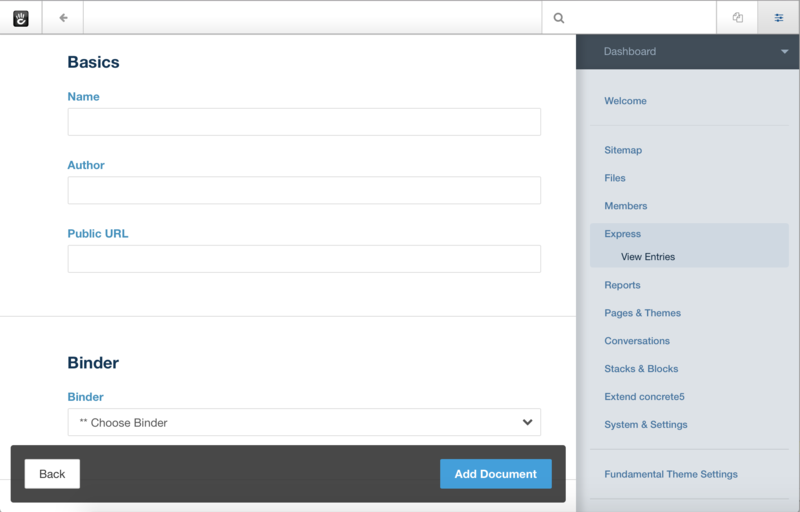 You create an Express Form in the concrete5 Dashboard, by grouping form controls into field sets. These forms look great rendered in the concrete5 dashboard. The dashboard forms can be used by site authors, editors and administrators to add and edit content. Express isn't confined to the Dashboard, though – and that's really where this documentation kicks off. When you use the form block on your concrete5 site you're actually creating Express objects – and conversely, starting in 8.1, you can use the Form block to place existing Express forms. 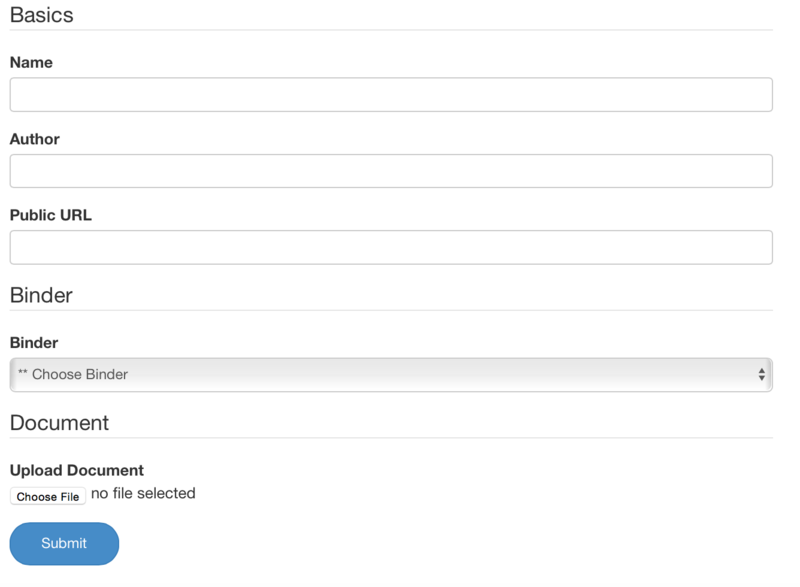 By default, these forms collect data, notify users when they're submitted, and place files into folders and sets. They look great in a site that employs Twitter Bootstrap or basic form styles. But what if you want to skin your forms differently? 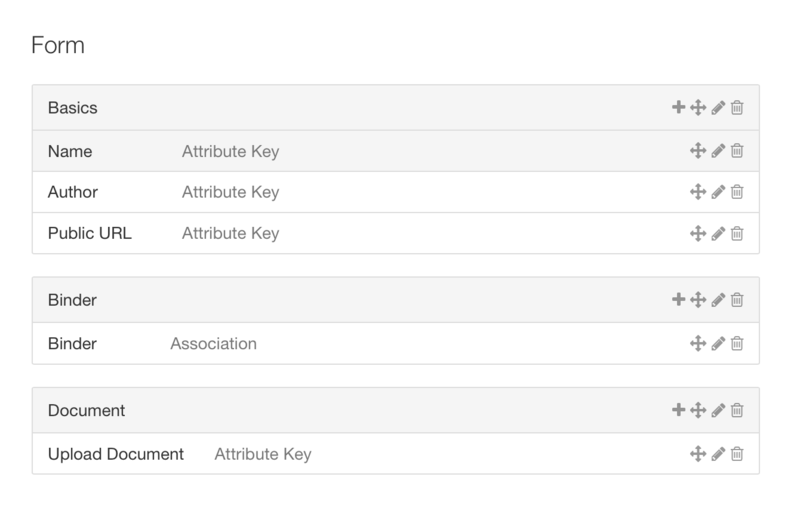 Or you want to add more advanced processing, validation or notification logic to these forms when they're submitted? concrete5 has you covered. This documentation requires concrete5 8.2.0 or greater.